"Runners, run -through the cold, through the heat, through the rain, through the snow. While the running world tries to make sense of the senseless bombings at Monday’s Boston Marathon, we can’t think of a better way to carry on, than by running." "The running world will keep running Sunday on the grandest stage possible at the Virgin London Marathon with the greatest men’s marathon field ever assembled in the history of sport. * While we should never forget what happened Monday in Boston, we would be doing a disservice to what happened in Boston if we did not celebrate the greatness and pageantry taking place Sunday in London." 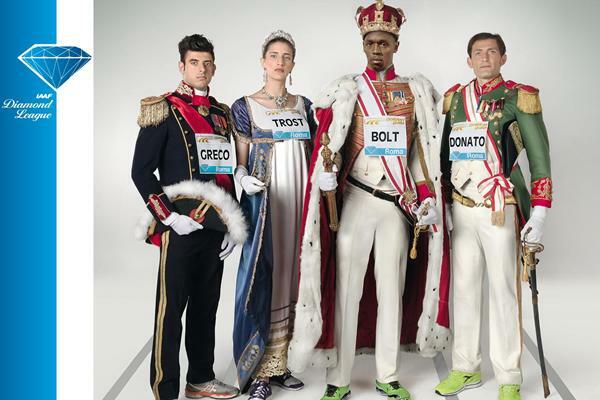 "Consider this....All five of the marathon majors course record holders will be racing on Sunday in London. And all five of them are still in the prime of their careers." - excerpt from our London Marathon preview where we break down what we are calling the strongest men's marathon field ever. British Men Have A Winning Drought Of Their Own Going At The London Marathon Britain’s last male London Marathon winner was Eamonn Martin 20 years ago. 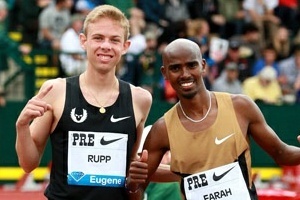 He believes Mo Farah has could be the next when he runs the full distance next year. AW Preview: "London Marathon Not Just The ‘Mo Show’" Includes look at wheelchair races, IPC Marathon World Cup and UK Youth "Mini Marathon". EA Article On Portugal's 3 Time European Indoor 1500 Champ Rui Silva Making His Marathon Debut At London However, this London press release says he pulled out with a stress fracture or reaction lasts week. Sorry Ladies: Researchers Says 1 In 3 Women Will Have Breast Pain During London Marathon They also "reported an apparent link between breast size and pain during exercise." 2008 Olympic 5k Silver Medalist Eliud Kipchoge And Former Half-Marathon World Champ Wilson Kiprop Will Go Head To Head At Haspa Marathon On Sunday This will be Kipchoge's debut and only Kiprop's 2nd marathon. Also included in the field are Chele Dechasa (2:06:33), Joseph Gitau (2:06:58), Lawrence Kimaiyo (2:07:01) and Limenih Getachew (2:07:39). Ukraine’s Kateryna Stetsenko (2:27:51) leads for the women. IAAF Nagano Marathon Preview: Former Japan NR Holder Atsushi Fujita Will Run His Last Race; Will Yuki Kawauchi Run Another 2:08? 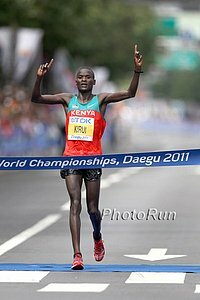 After running career is over, Stephen Kiprotich will go back to working as a prison guard "That is my place of work. Running is just a short period of time – after I retire I need to go and work." We Hope You Read Our Preview As We Nailed Both Races Perfectly And Told You "If you read one piece all year here, this is the one you have to read." RIP: Sean Collier MIT Cop, Murdered by Boston Bombers Collier was a great guy according to media accounts and died protecting us all. His roommate said it best, "The best guy got shot down by the biggest scumbags." *suspects are brothers, suspect 2 DZHOKHAR TSARNAEV is 19 years old. Mt. Sac: Brenda Martinez 4:04, Ben True/Patrick Casey 3:40, Will Leer 13:21, Abbey D'Agostino 15:11, Shalaya Kipp 9:52 Steeple True had the fastest 1500 of the day with 3:40.07 beating out Casey's 3:40.27 from heat 1. Behind Casey 6 more were sub 3:42. *Updated Mt. Sac Heat Sheets Morgan Uceny and Anna Willard in the 800, Duane Solomon vs Charles Jock, Eric Sowinski and Cas Loxsom in men's 800, Ashton Eaton and Jason Richardson in 110H. Oregon Relays: Ken Goe Recaps Distance Action At Oregon Relays: Julia Lucas Wins The 1500 (4:16); Andrew Wheating Wins The 800 (1:49) Hassan Mead won the 1500 (3:41.03), Japan's Tsuyoshi Ugachi won the 5k over Ben Blankenship in 13:56.95 as Oregon's Parker Stinson was 3rd (13:59.83). Jordan Hasay and Bridget Franek ran the 5000 together as a controlled effort in 16:01. 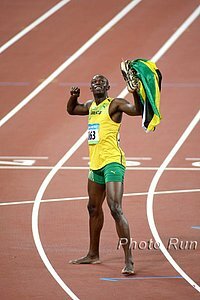 Exciting Action Set For May 4th Jamaican Invitational: 2008 400H Olympic Champ Will Get Her First Big Test In The 100H Against Dawn Harper Usain Bolt will race Wallace Spearmon and Warren Weir in the 200, Shelly-Ann Frazer-Pryce, Kerron Stewart and the USA's Bianca Knight in the 200, Veronica Campbell-Brown vs Alyson Felix and Natasha Hastings in the 100, World leader Stephanie McPherson against GB's Christine Ohuruogu in the 400, and US's Ryan Bailey and Doc Patton in the 100. NY Times: "One posted it in a running forum, from where it went viral"
A preview of a busy weekend for Japanese runners - some in London, some at Mt. Sac and Yuki Kawauchi in another marathon. Yuki Kawauchi Wins Honjo Waseda No Mori Half Marathon In 1:06:28 Despite making A Wrong Turn This race marked the beginning of an eight-week stretch that will see him run nine races, his next being the Apr. 21 Nagano Marathon. 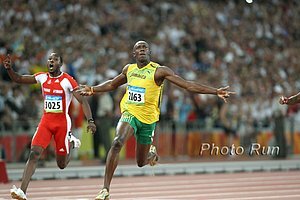 Asafa Powell's Agent Says He Still Has Appeal For Race Directors Despite Constantly Dropping Out With Injuries His agent said, "Of course there is some concern when we do deals with meets and people ask if he is going to show up healthy or if he is going to finish the race healthy, but a lot of athletes have that issue." One Of The Things Mo Farah Enjoys Most About Living In Portalnd Is Not Being Noticed He says in the UK, "You're out pushing the kids and people want pictures. They're the people who come out and support you, so you want to give them time. But sometimes when you're in a rush or you want to get something done, it isn't easy." Episode 9 Of IAAF Inside Athletics: Ato Boldon Answers "Fan Mail"
Spirited 8-Year-Old And Outgoing 29-Year-Old Woman Among Boston Marathon Victims Article on two of the three fatalities and updates on the many of the other injured. Joan Benoit Samuelson: "I feel as though our community has been violated in a violent and senseless way." Statement From Thomas Grilk, Executive Director Of The Boston Athletic Association "Boston is strong. Boston is resilient. Boston is our home. And Boston has made us enormously proud in the past 24 hours. ... We are committed to continuing that tradition with the running of the 118th Boston Marathon in 2014." 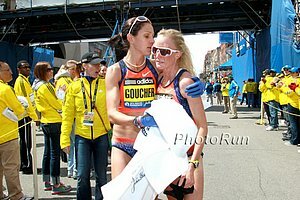 NY Times: Bring On The Next Boston Marathon "Wash the sidewalk, wipe away the blood, and let whoever did it know that while they have sickeningly maimed and killed some of our brothers and sisters, they have left no trace on our society or way of life." Reactions From Track World, Including Paula Radcliffe, Haile G And IAAF President Liame Diack Liame Diack: "This ghastly and cowardly attack strikes at the very core of the freest of human activities. Whether as a fun runner or elite competitor, road running exemplifies the honestly of basic human movement, strength and resilience." Reflections On A Senseless Tragedy: "Americans have always proven to be resilient and Marathon Monday in Boston may not mean the same thing in the future, but the important part is that it will continue." Spectators And Runners Share Their Experience During The Attack One said, "It's just a loss of innocence." LRC Meet Conner Paez: "Please don’t cut off my leg. Please just don’t amputate my leg. I can't lose my leg. 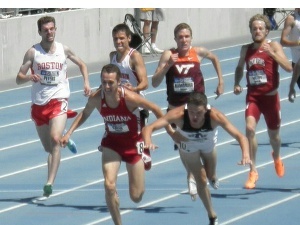 I need to run" Two years ago Conner Paez was on top of the world as a freshman at the University of Pennsylvania (8:16, 14:18). Then his life turned in a second as he was broadsided by a car while on his motor bike. The injuries were bad, very bad. He almost lost his leg, then some toes. Doctors told him he'd never compete again. What's he doing this weekend? Competing again.